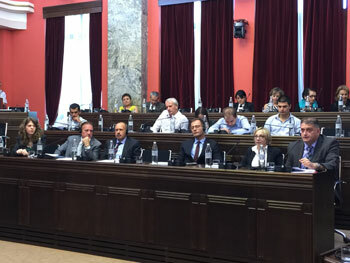 In the framework of the ongoing process of convergence between Georgia and the European Union’s Countries for the development of intellectual resources and international standards, it is necessary to design an appropriate educational model and to introduce it by adopting new approaches based on the latest technologies. An active cooperation of the partners to find financial resources for the project (local and International funding, fund-raising, activities). The project aims at the development of intellectual resources linked to the university studies and professional world in Georgia in accordance with international standards and envisaging the possibility of introducing an adequate teaching model based on the introduction of the latest technologies in the field of education (e-learning). 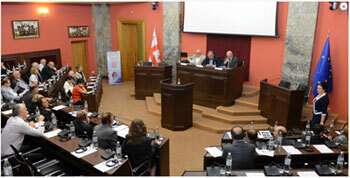 This process will have to take place in the context of the ongoing process of convergence between Georgia and the European Community, which started in 2013 with the ratification of the Treaty of Association of Georgia; the project aims at contributing to regional development supplying a qualified, diversified and attractive educational offer envisaging the possibility of awarding the student with a study qualification acknowledged worldwide.